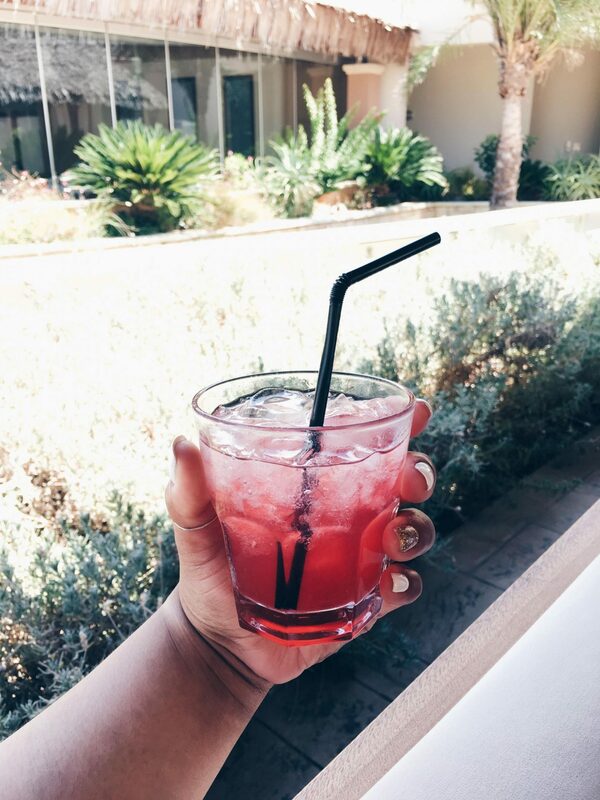 I’m currently writing this post on the flight back to London and already missing the sun and heat of Crete! As you saw from my last blog post, I was en route to Greece, or more precisely the island of Crete. For this particular vacation, I stayed at the Atlantica Sensatori Crete resort. I actually did a lot of research before deciding on this resort, so wanted to share my review of it to hopefully help others who might be looking for similar vacations. I booked it online via the Thomson’s website and went for the all-inclusive package. 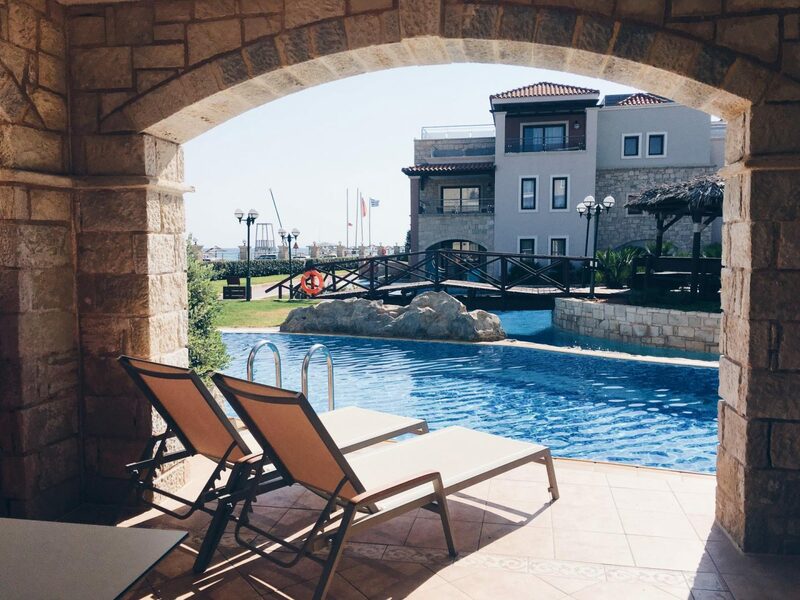 There are actually a few options for Greece but I was particularly drawn to the Atlantica Sensatori Crete resort as they had amazing reviews and were classed as a 5-star resort. Booking via the website was fairly straightforward and give options to amend your flight options to suit your preferences. I opted to fly with British Airways as it included checked luggage and you could pre-select your seats. The flight was full, which therefore meant I didn’t have much choice for seats. If you’re picky about that kind of thing, maybe opt for the additional charge to reserve your seat. I did this for the return flight and booked the exit row seats, which was well worth it! In terms of accommodation, I booked a swim up room. One of the best decisions of my life! The swim up room is essentially access to a private pool, built as a moat around the terrace of your room. Each room has its own access and means you don’t have to fight for a spot by the pools. One thing I noticed was that the rooms were not equal in decor. Whilst the whole resort did have a luxury and 5-star feel, you could tell that some of the rooms had not been updated for a while. I actually realised this after sneaking in a peek when the housekeeper had left the door ajar to other rooms. The room we booked had an old bed frame, was decorated in art deco style wood finishings and the bathroom had dark green marble tiles. It was clean and spacious, but just felt very dated. I could have got over that if I hadn’t seen that the other rooms decorated in a more modern, clean and sleek interior. We stayed in the ‘Thalia’ residences, which include rooms 8001-8209. Our room had a partial sea view and was literally 2 mins walk from the beach. Our private terrace included 2 sun loungers, a table and two chairs. We had sun up until 1pm, so it meant we could sunbathe in comfort and in private, as well as having access to the swim up pool. Tip: When booking your room, ask for a sea or pool view. The outer rooms have terrible views where you are literally just facing empty deserted land (and not the picturesque kind!). The resort itself is huge! There are 4 outdoor pools, an outdoor whirlpool bath for all guests, as well as over 8 restaurants and bars! This is a family-friendly resort, and there is even a kid’s pool area with a splash pool. There is also a store onsite at the resort, which has everything from swimwear, snacks and drinks as well as toiletries. There are also other local small supermarkets within walking distance if you prefer. I highly recommend the spa if you have the chance. We booked a couples massage and it was one of the best spa experiences of our lives! The masseurs were very well trained and made us feel like royalty by the end of our visit! There’s no transportation to city centre and its about 30 mins away by cab. However, there is a great train tour that drives along the coast on the road. The city tour stops at all the main resorts and hotels and has pick-ups dotted all around, so you’re sure to have a stop near you. You pay directly to the driver and can hop on and off at certain stops. This was a fantastic way to get around and see the sights as well as familiarise yourself with the local area. There was musical entertainment nightly and they also had activities for families, kids and adults throughout the day. The main show would be hosted in the outdoor stage and bar area. Themed nights would include music from The Beatles, Broadway and Musical shows, current pop artists as well as special guest stars throughout the week. 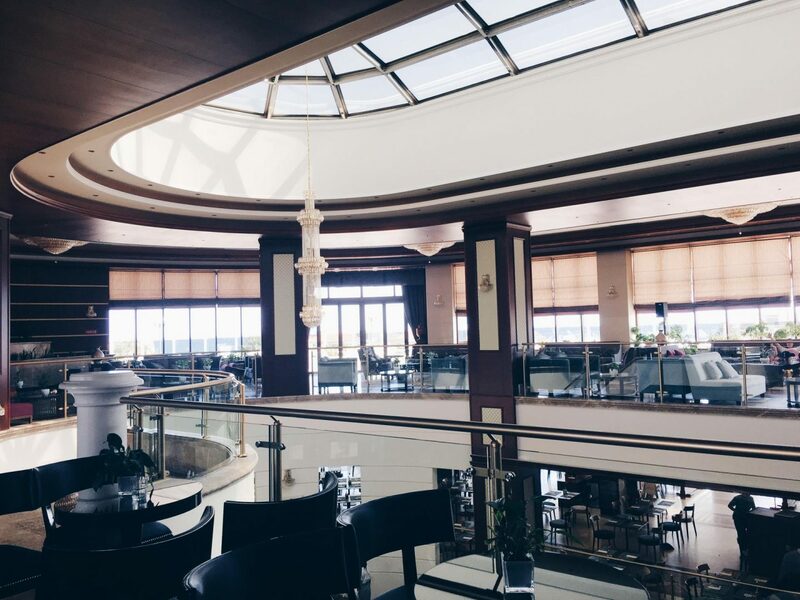 The resident musicians would also perform some acoustic sets throughout the late afternoon and evening in the piano bar. They have a huge repertoire, so feel free to request some of your favourite tunes. One of my favourite nights was actually the comedy night! They actually flew in some comedians from London to entertain us with their hilarious acts. There was also a firework show on one of the evenings, which was a great end to the night. 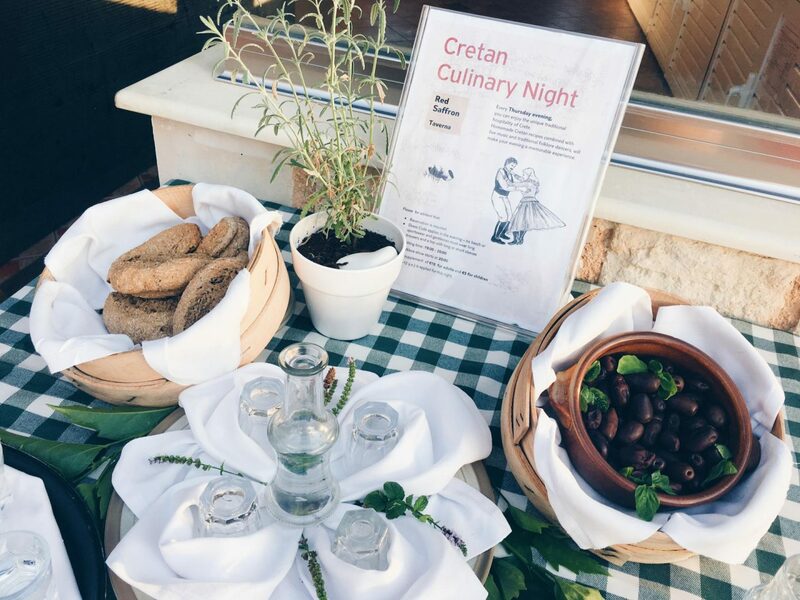 They host a traditional ‘Cretan Culinary’ themed dinner at the Saffron restaurant on Thursdays. 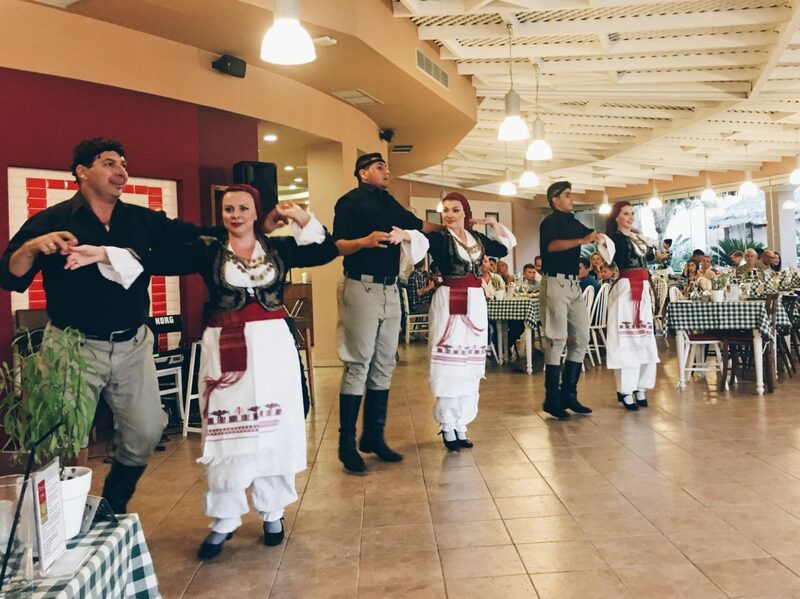 This comes complete with traditional local cuisine and music and dancers. 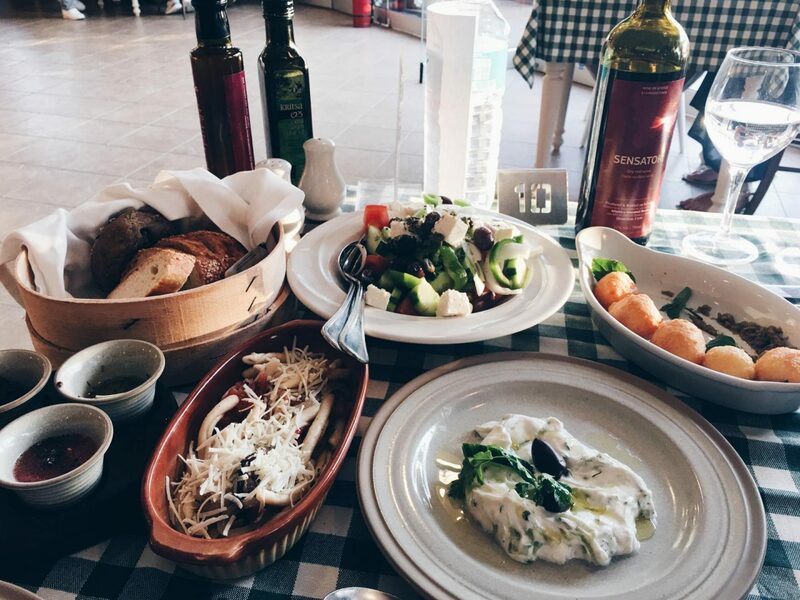 The menu is a wide selection of traditional dishes and is a huge spread! This is a must. Just be prepared for the shot of raki waiting for you before you enter! Tip: Make sure you book Crete night for around 7:30-8pm as this will ensure you time it well with when the entertainment is due to start. The service at Atlantica Sensatori Crete was incredible! The servers were so friendly and were very quick to attend to us and serve drinks and food. All the staff were really welcoming and polite actually. Our room was always serviced and cleaned daily. The housekeeping staff would also come back throughout the day to ensure your room was cleaned. I do recall one evening where we accidentally broke one of the one wine glasses in the bedroom. We called reception for some assistance, but they weren’t that helpful. And simply said there weren’t any maids as it was so late. They just sent over a security guard with a dust pan and brush. Which was quite disappointing, because it meant we had to mop up the spilled liquid with our towels. The only other negative point I would have was that we didn’t really get much of an introduction to the resort and how to book for dinners etc. I saw a lot of feedback about the booking system on Tripadvisor so check my tip below! Guests have to book dinners in advance. These are booked via a hotel system on machines located in the lower atrium. Booking times are only available from 10am to 2pm and get booked up fast. So you may find yourself limited for dinner options if you don’t book ahead! Tip: Download the hotel app (get the link from the public relations desk at reception). This way you can book for dinners without racing to the machines. How Does The All-Inclusive Package Work? This was one of the first questions I asked! If you’ve never been on an all-inclusive vacation, I would firstly advise that you look into what this includes. For their all-inclusive package, it includes all meals, snacks and drinks throughout the day. However some restaurants incur an additional charge, but with 5 restaurants in total, only 2 had an additional cost. The choice of restaurants and cuisines is fantastic! There’s sure to be something to cater to anyone’s fancy. The main restaurant was open for all meals throughout the day. Again though, don’t forget to book dinner in advance via the app. My favourite restaurant was actually the main restaurant which was a buffet. The range of dishes was great and the quality of food was always really high, despite it being a buffet. My favourite meal was breakfast, the choice was incredible. You could have eggs to order as well have all the usual ingredients to a big English breakfast. Try out the fresh honey comb with your pancakes too, it’s delicious! Cocktails, shots, beer, house wines/sparkling wine and soft drinks are included and can be ordered throughout the day. The only things not included in the all-inclusive package are branded alcohol spirits and champagne. Tip: Head over to the Saffron restaurant for an adults only breakfast. There’s no need to book either. 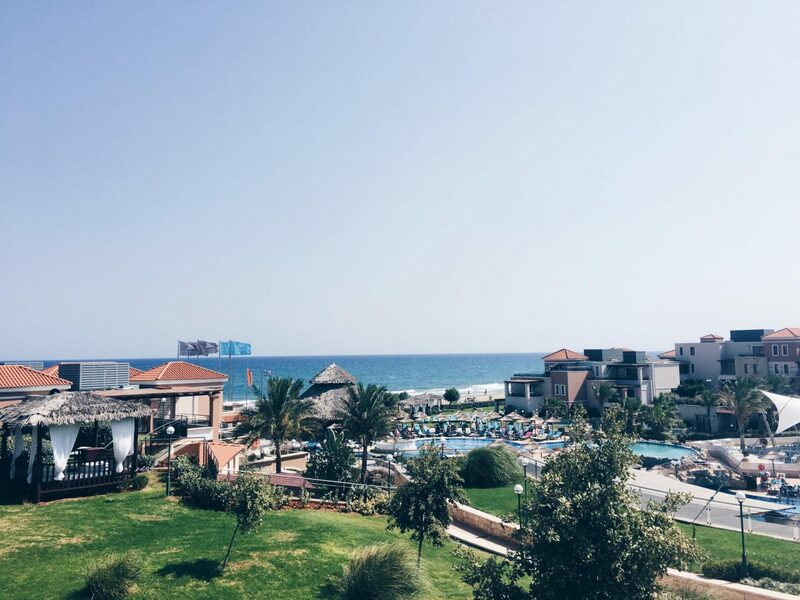 Would I Stay At The Atlantica Sensatori Crete Resort Again? In short, yes. It is definitely a fantastic resort and well worth the money spent. I would probably opt for a room with a private pool in future as these are top floor rooms, which mean you get sun all day! All in all, I rate the resort a 4 out of 5 and would definitely consider going again. I’m also looking at some of their other resorts across Europe, perhaps Rhodes or Ayia Napa? Have you ever had the pleasure of staying at the Atlantica Sensatori Crete resort? Ever been to Greece or Crete, what do you recommend? I’ve done all-inclusive at Mexico also, that was lovely! Definitely recommend it as you don’t have to worry about food and drink and it can be quite costly in the end. But only if you’re staying at a hotel. If you plan to hop around I would recommend just going with the flow! This was a lovely read and you included stunning pictures! May I ask which camera you use? These photos are truly stunning 😍 I am going in September to Greece and i am so excited!!! You’re going to have so much fun! Enjoy! Awesome! I’ll be pinning this so I can remembe the advice for future trips! I am yet to do so many things, like book an all inclusive vacation, visit any parts of Greece etc. Its a shame that for a 5* the rooms where not created equal. What an incredibly thorough post. I LOVE Greece, especially Crete – this resort sounds great but I definitely agree with you regarding a private pool- that sounds amazing! That looks like a stunning hotel. I must keep that in mind when I plan to visit Greece. Oh my! 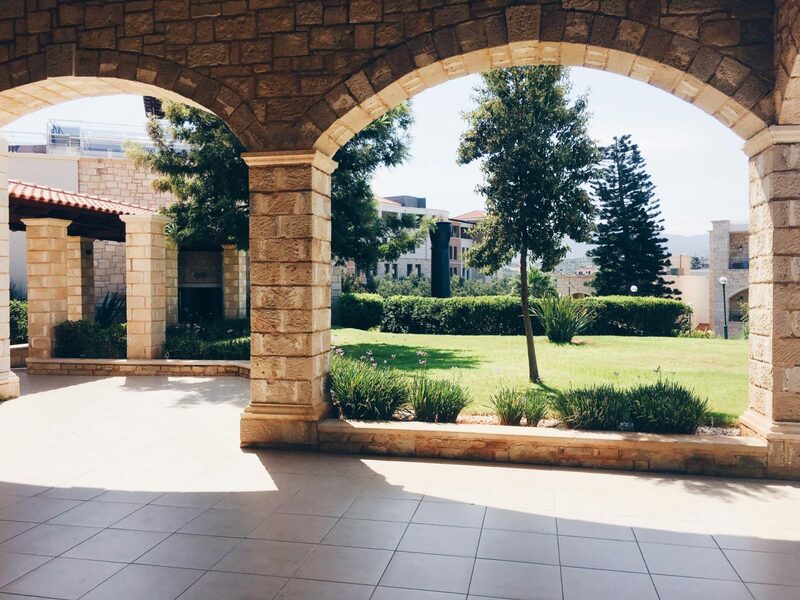 You make me wanna go there right now! Greece has always been a dream destination! WOW Greece is my dream destination. 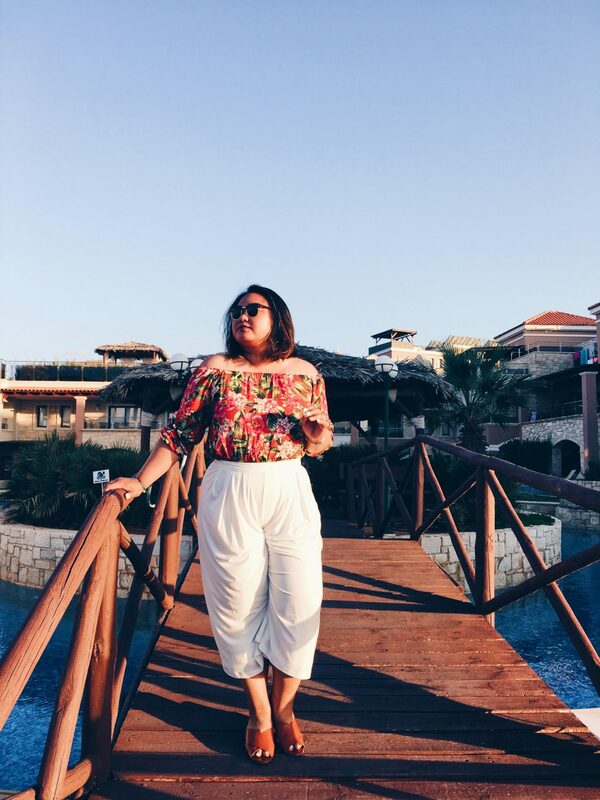 I loved the way you captured the pictures, must say quite an amazing resort you stayed with. 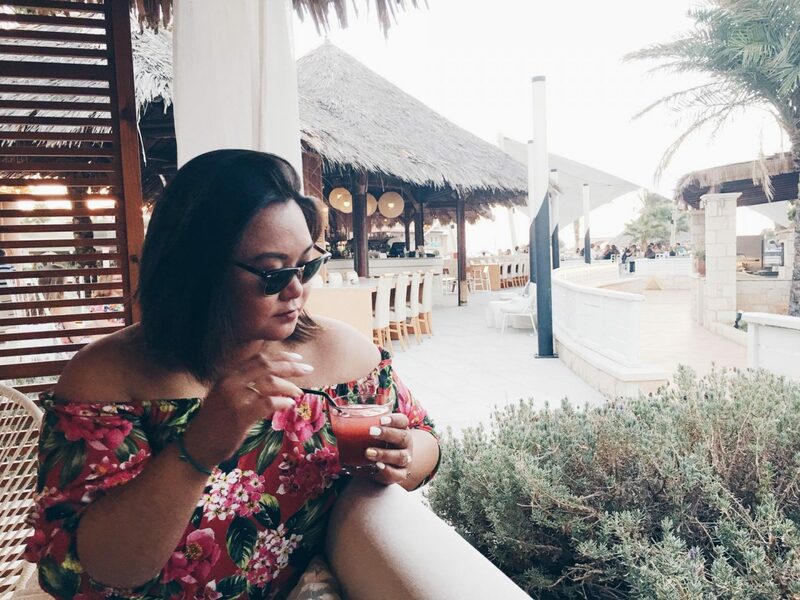 Greece is one of my favorite destinations and your review has made me want to go and visit it sooner than later.I love all your beautiful photos. We’re booked into their Rhodes resort in October, can’t wait! OMG yesss you will have so much fun! I want to go to Rhodes next to, let me know how it is. I do have plans to visit and am glad to have come across your post. Will definitely try to stay here when I’ll make it there. Lovely photos! Glad you had a wonderful vacation,Crete has so much history behind it. Did you get to explore the island? I visited Heraklion and the Knossos so got to see a bit of the culture. It’s so beautiful can’t wait to go back! 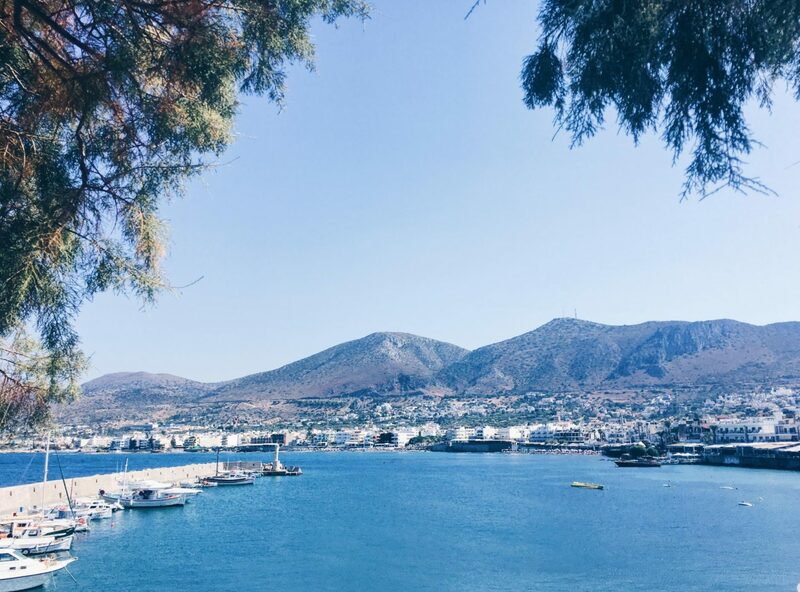 Great review – I LOVE Greece, it’s one of my favourite places to go on holiday. 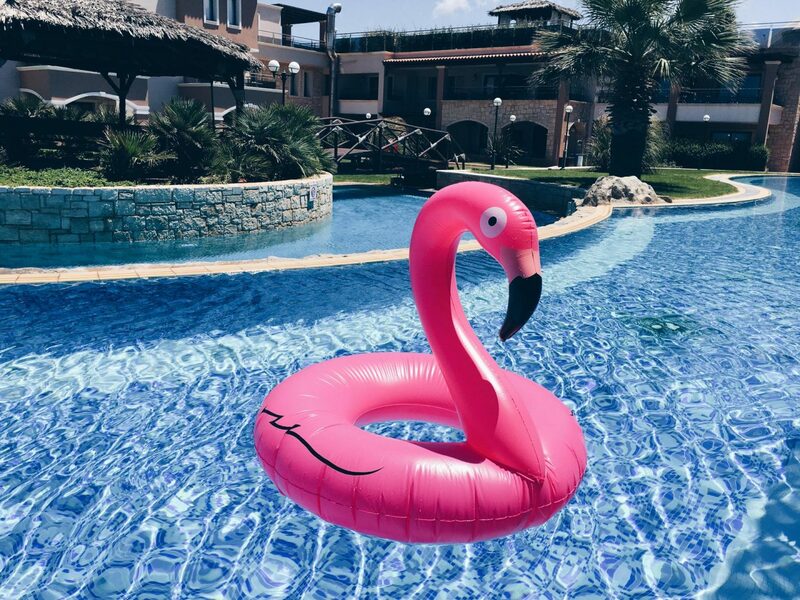 Love the flamingo too, we have the same one! This sounds and looks great. I would love to visit Greece! It would be wonderful. Lovely photos. I’ve never been to this part of the world before but it looks amazing. I’ve stayed at this hotel before! I loved it. Sensatori were honestly the best and the best hotel I’ve stayed at! Great review! Fantastic tips & such a beautiful location too! Love the photos, Greece seems really popular at the moment. We did an all inclusive in Rhodes which was nice but the all inclusive we did last year in Mexico was the best I’ve ever done. I think all inclusives get unfairly bad press! Top tips and from the sound of it and your rating of 4 out of 5, one to check out as thinking Greece is top on my list. The swim up room looks amazing and it’s interesting that the hotel has an app to book in for dinner etc! Plus their drinks inclusion is pretty great as some are really bad at some hotels with their choice for all inclusive guests. Never been here and reading this post makes myself convinced of staying here as well. Will definitely include this so I can consider when I will be in Greece.Hopefully this year. Crete seems so charming and picturesque! When’s the best time of the year to go there and what shouldn’t I miss?